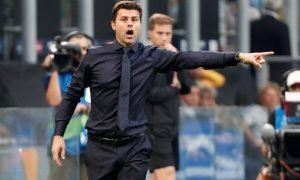 5 players that should be on Mauricio Pochettino's January wishlist | The Transfer Tavern | Where football transfer rumours fly or die! Our Tottenham supporters in the Football Transfer Tavern are still kicking themselves regarding just how they let Arsenal back in to claim a 1-1 draw at Emirates Stadium in the North London Derby last Sunday. Having totally dominated the first hour of the spicy fixture, Mauricio Pochettino refused to be negative in his post-match interviews but he’ll know that Spurs should’ve left the home of their great rivals victorious. That said, alongside Leicester City, Tottenham have lost the fewest number of games in the top flight so far this season and that is a huge credit to their defensive organisation with Toby Alderweireld and Dele Alli looking like inspired signings. With Chelsea having gone off the boil dramatically to boot, it finally looks as if Tottenham could easily claim a spot in the Premier League’s top four this season. It’s just a case of completing the job this season. Despite going great guns right now, Tottenham still boast one of the most tight-knit groups of players in the Premier League so when injuries strike, Pochettino has to use the likes of academy products Harry Winks and Josh Onomah instead of established stand-ins. A few more additions in the January transfer window could help Spurs’ cause in regards to claiming a Champions League spot and if Tottenham get their hands on any of these five players in our shortlist, perhaps they can even do better than fourth place this term? Click on the image below to reveal the players that should be on Mauricio Pochettino’s January wishlist.